If the Kalamazoo band True F.O. had a catchphrase, it would be “pass the instrument.” After almost every song, members of the band switch between guitar, bass, drums, and vocals. “It’s more of like not being comfortable just playing one instrument. Also wanting to dabble in different things as far as like writing songs. Cause there’s songs we’ve written where I normally play guitar, but the song is written on bass and I play bass in it,” says Mike Anyonga. On Thursday, February 23rd True F.O. will play Shakespeare's Pub in Kalamazoo along with three other acts. The show starts at 9 p.m. In their set, you can hear elements like rock, R&B, electronic and psychedelic music. There’s even a little bossa nova, a Brazilian style of music popular in the 1950s and 60s. Members of True F.O. were all friends, but Fields says they probably wouldn’t have become a band if it weren’t for Do It Together Kalamazoo - an organization that sets up concerts in the private homes of musicians and music fans, often in Kalamazoo’s Vine neighborhood. Fields and his bandmate Trevor Coleman started using their house for concerts. Soon Anyonga says the four of them started jamming together. 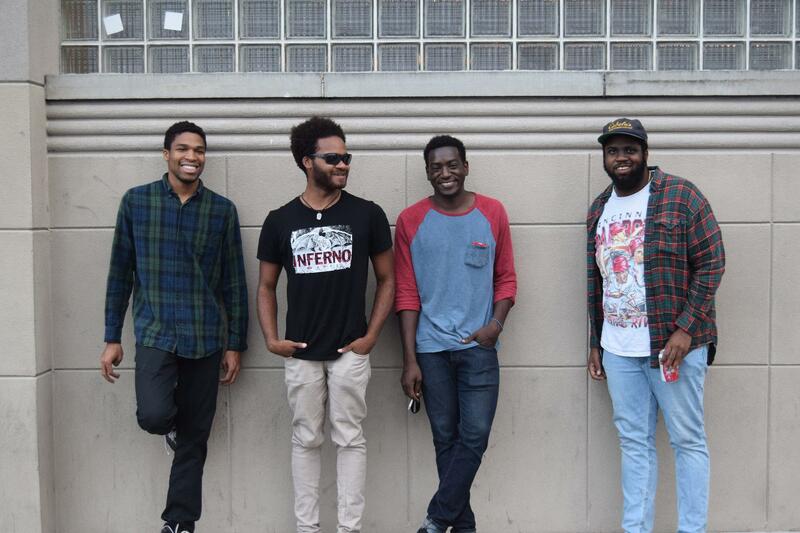 Fields says they never intended to become an official band, but Anyonga made a quick decision that forced the group to put those jam sessions on paper. “I think it was two or three weeks after playing together. I talked to one of my friends who had the pretty big [DIT] spot at their house. I was like, ‘Hey, can we play a show at your house.’ ‘Yeah man, sure. It’s going to be in a week,'" says Anyonga. If you have a band, it helps to have a name. Surprisingly the acronym in True F.O. isn’t an acronym at all - and no, it's not an alien refernce like U.F.O. Coleman says the name just sounded right. To call the members of True F.O. “busy” would be an understatement. All of them either have day jobs or attend college - and they all play in more than one band. Fields and Coleman have a grunge rock band called Twenty Seventy. Anyonga is in a soul and R&B collective called Purple Lemurs. 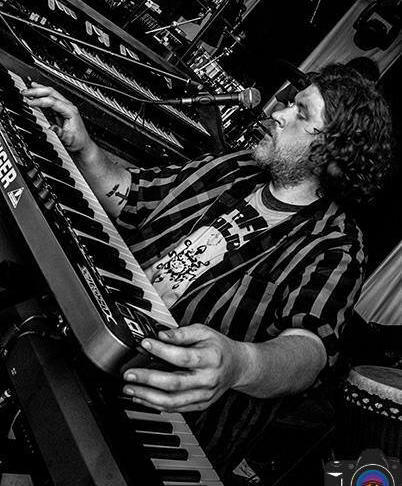 Keyboardist Tony Mitchell is an electronic producer and composer, part of an ambient music group called Chöd, and DJs on WIDR - Western’s student radio station. Coleman says coordinating schedules can be hard with all of these side projects, but he wouldn’t have it any other way. “They all sound great and they also allow us to write more music than we already do in True F.O. And also build ourselves as musicians in a different sense playing those genres. And that helps us grow and helps us bring a lot of other stuff back to this band,” he says. “If I write a song and I know that it’s not parallel to True F.O.’s style, then I can write a song and express what I’m feeling in a different band," Fields adds. “It’s nice to just be in that environment of playing music all the time. So every weekend is like we’re looking forward to a show or practicing for a show," says Anyonga. The group is going to release their first EP on February 25th. Coleman says he hopes this first recording can move the band forward. “We’re just excited to release it because there’s been a lot of songs that we’ve written a while ago and that we’ve been playing for so long. And it’s nice to have them recorded so other people can listen to them on their own time," he says. True F.O. 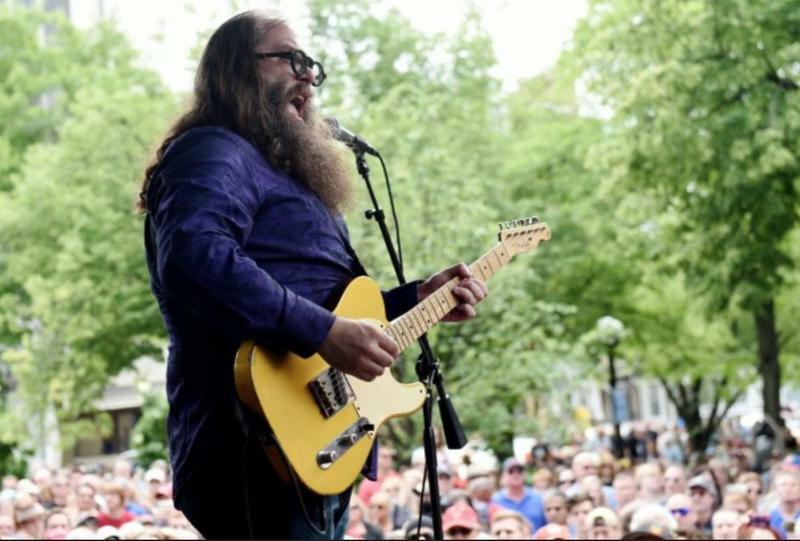 will play at Shakespeare’s Pub on February 23rd at 9 p.m.
Just six months ago, Ann Arbor native Laith Al-Saadi was one of four top finalists on NBC’s reality TV show The Voice. But he didn’t get there by singing top 40 pop songs, he got there belting out blues and rock n’ roll. Al-Saadi will play Bell’s Brewery in Kalamazoo on November 19th at 9 p.m. and the Franke Center for the Arts in Marshall on December 30 at 8 p.m. Hear Laith Al-Saadi on WMUK's Arts & More. Scroll down for a longer interview. How do you make fast friends with one of the most influential hip hop groups of all time? You’d have to ask the Kalamazoo trio Dezert Eez. The group will perform Saturday, December 10 at Bell’s Brewery at 9 p.m.
Local musicians will hold a second tribute concert for the late Cris Kauffman, Friday night at 9 p.m. at Shakespeare's Pub in Kalamazoo. Proceeds will benefit the Michigan Epilepsy Foundation.